When it comes to planning missions to Mars and other distant locations in the Solar System, the threat posed by radiation has become something of an elephant in the room. Whether it is NASA’s proposed “Journey to Mars“, SpaceX’s plans to conduct regular flights to Mars, or any other plan to send crewed missions beyond Low Earth Orbit (LEO), long-term exposure to space radiation and the health risks this poses is an undeniable problem. But as the old saying goes, “for every problem, there is a solution”; not to mention, “necessity is the mother of invention”. And as representatives from NASA’s Human Research Program recently indicated, the challenge posed by space radiation will not deter the agency from its exploration goals. Between radiation shielding and efforts aimed at mitigation, NASA plans to proceed with mission to Mars and beyond. 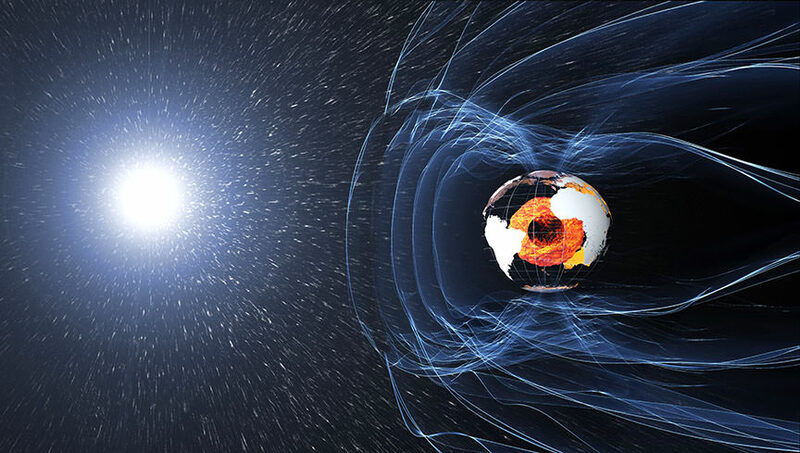 Since the beginning of the Space Age, scientists have understood how beyond Earth’s magnetic field, space is permeated by radiation. This includes Galactic Cosmic Rays (GCRs), Solar Particle Events (SPEs) and the Van Allen Radiation Belts, which contains trapped space radiation. Much has also been learned through the ISS, which continues to provide opportunities to study the effects of exposure to space radiation and microgravity. For instance, though it orbits within Earth’s magnetic field, astronauts receive over ten times the amount of radiation than people experience on average here on Earth. NASA is able to protect crews from SPEs by advising them to seek shelter in more heavily shielded areas of the station – such as the Russian-built Zvezda service module or the US-built Destiny laboratory. However, GCRs are more of a challenge. These energetic particles, which are primarily composed of high-energy protons and atomic nuclei, can come from anywhere within our galaxy and are capable of penetrating even metal. To make matters worse, when these particles cut through material, they generate a cascade reaction of particles, sending neutrons, protons and other particles in all directions. To address this risk, NASA is currently evaluating various materials and concepts to shield crews from GCRs. These materials will become an integral part of future deep-space missions. Experiments involving these materials and their incorporation into transport vehicles, habitats and space suits are currently taking place at the NASA Space Radiation Laboratory (NSRL). At the same time, NASA is also investigating pharmaceutical countermeasures, which could prove to be more effective than radiation shielding. For instance, potassium iodide, diethylenetriamine pentaacietic acid (DTPA) and the dye known as “Prussian blue” have been used for decades to treat radiation sickness. During long-term missions, astronauts will likely need to take daily doses of radiation meds to mitigate exposure to radiation. Space radiation detection and mitigation technologies are also being developed through NASA’s Advanced Exploration Systems Division. These include the Hybrid Electronic Radiation Assessor for the Orion spacecraft, and a series of personal and operational dosimeters for the ISS. There are also existing instruments which are expected to play an important role when crewed mission to Mars begin. Who can forget the Radiation Assessment Detector (RAD), which was one of the first instruments sent to Mars for the specific purpose of informing future human exploration efforts. This instrument is responsible for identifying and measuring radiation on the Martian surface, be it radiation from space or secondary radiation produced by cosmic rays interacting with the Martian atmosphere and surface. “Some people think that radiation will keep NASA from sending people to Mars, but that’s not the current situation. When we add the various mitigation techniques up, we are optimistic it will lead to a successful Mars mission with a healthy crew that will live a very long and productive life after they return to Earth. Scientists are also engaged in ongoing studies of space weather in order to develop better forecasting tools and countermeasures. Last, but not least, multiple organizations are looking to develop smaller, faster spacecraft in order to reduce travel times (and hence, exposure to radiation). Taken together, all of these strategies are necessary for long-duration spaceflights to Mars and other locations throughout the Solar System. Granted, there is still considerable research that needs to be done before we can say with any certainty that crewed missions to Mars and beyond will be safe, or at least not pose any unmanageable risks. But the fact that NASA is busy addressing these needs from multiple angles demonstrates how committed they are to seeing such a mission happen in the coming decades. Beyond NASA, Roscosmos, the Chinese National Space Agency (CSNA) have also expressed interest in conducting crewed mission to the Red Planet, possibly between the 2040s or as late as the 2060s. While the European Space Agency (ESA) has no active plans for sending astronauts to Mars, they see the establishment of an International Lunar Village as a major step towards that goal. Beyond the public sector, companies like SpaceX and non-profits like MarsOne are also investigating possible strategies for protecting and mitigating against space radiation. Elon Musk has been quite vocal (especially of late) about his plans to conduct regular trips to Mars in the near future using the Interplanetary Transport System (ITS) – also known as the BFR – not to mention establishing a colony on the planet. And Baas Landsdorp has indicated that the organization he founded to establish a human presence on Mars will find ways to address the threat posed by radiation, regardless of what a certain report from MIT says! Regardless of the challenges, there is simply no shortage of people who want to see humanity go to Mars, and possibly even stay there!